My kids and I were painting using oil pastels. We had art projects all over the kitchen and dining room tables. My husband walked in and said “Hey, I can make an easel if that would help you.” He didn’t have to ask twice. 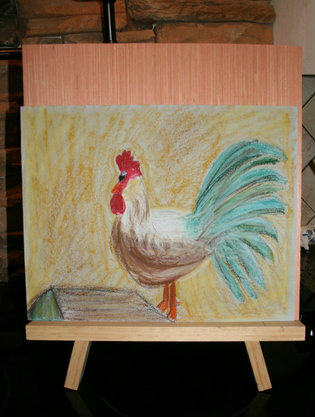 So he taught me how to make an easel. 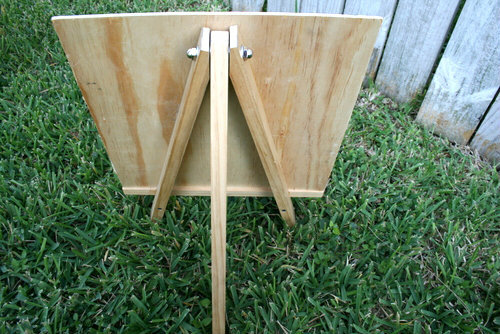 Easels are priced well over $100 at local craft stores. 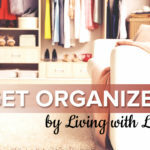 Making one yourself is a great way to save money. 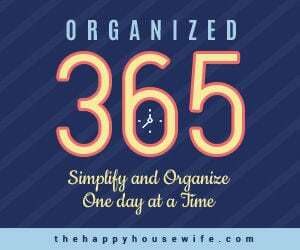 You probably have many of the supplies already in your garage. If not they can all be purchased at your local hardware store. 1. Cut the 6 Foot 1”x2” into 3 – 18” pieces and 1 – 14” piece. 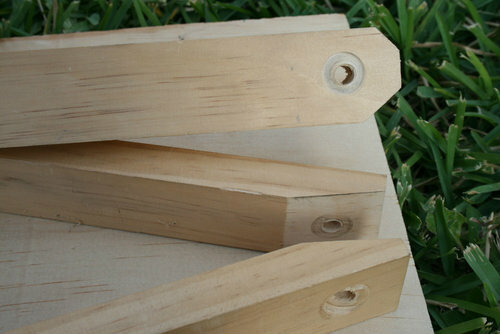 These boards will be used for the tri-pod stand. On two of the 18″ pieces you want to cut angles to make them into a V shape. The middle tri-pod piece has the corners cut off. Look at the photo to understand more clearly. 3. 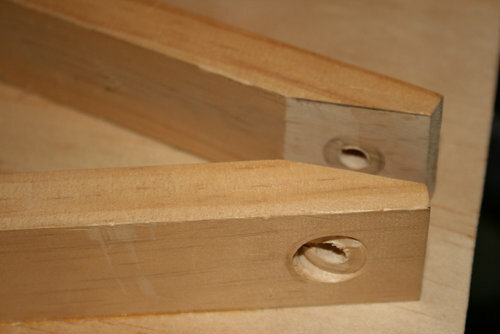 Drill a 7/16″ hole in all three 18″ pieces approximately 1″ from the top using your 7/16″ drill bit. 4. 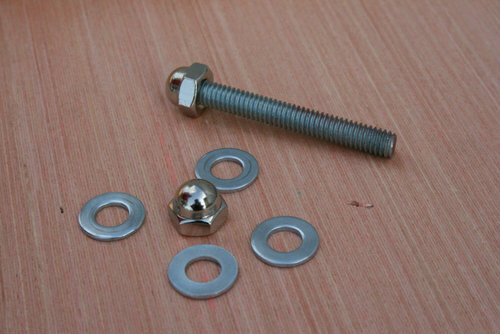 Attach 1 cap nut to the one end of the threaded rod then thread the washers in this order, one washer on, then one outer tri-pod leg, another washer, middle tri-pod leg, another washer, then the other outer tri-pod leg, last washer and the last cap nut. 5. Attach the 14″ board, spaced evenly across the two outer tri-pod leg boards approximately 3″ from the bottom to make a rim or pencil holder. 6. 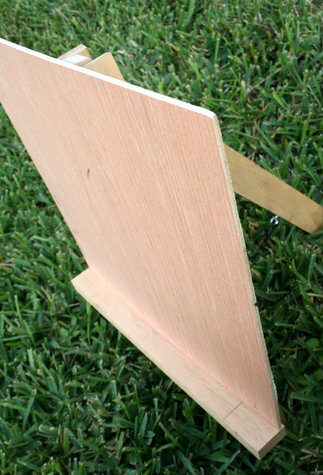 Attach the 14″x14″ flat board evenly to the two tri-pod. 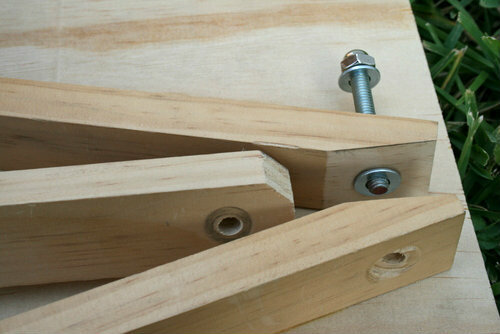 Secure the flat board with finished nails to the outer tri-pod boards. 7. Screw the 1 eye bolt into the middle tri-pod leg 3 inches from the bottom and the 2nd eyebolt into the back of the rim. 8. 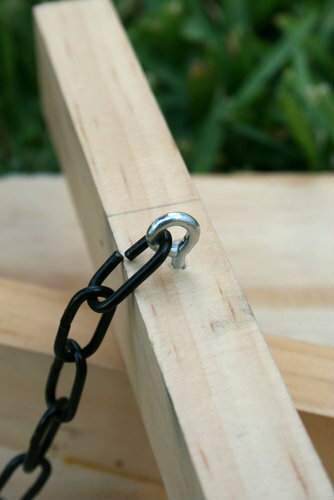 Attach chain onto both eye bolts. What a fun project that any art student (or Mom) would love! Don’t you love when a project gives birth to another project? That is our life. Organising an art party for my little ones 7th bday and was looking for a nice quick and easy DIY art easel, looks like I have found exactly what I’m looking for. Thank you for sharing. 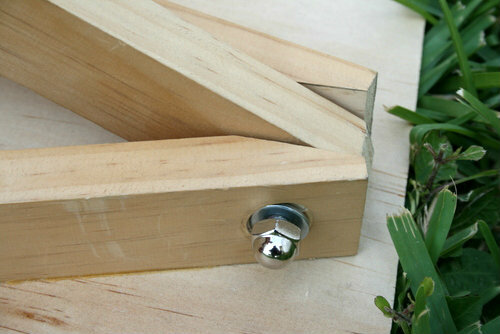 When you cut the 1×2 for the outside pieces, how far in did you measure and how far down before cutting the angle? what about the middle leg…did you measure the corners before cutting?? just trying to figure out the angles before I cut.. The same thing struck me. Try doing some scale drawings and all will be revealed.